Looking for the best packable daypack to carry your gear on daily adventures while traveling? Having a lightweight, packable daypack is a must have for any seasoned traveler. 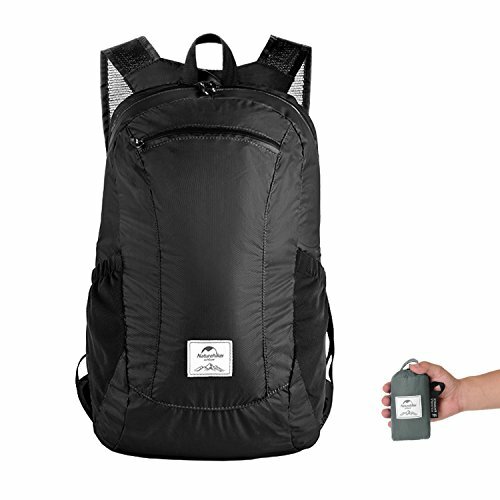 These small daypacks can easily be folded and stowed away in your larger bag, but they will come in handy when you head off on daily travel adventures. 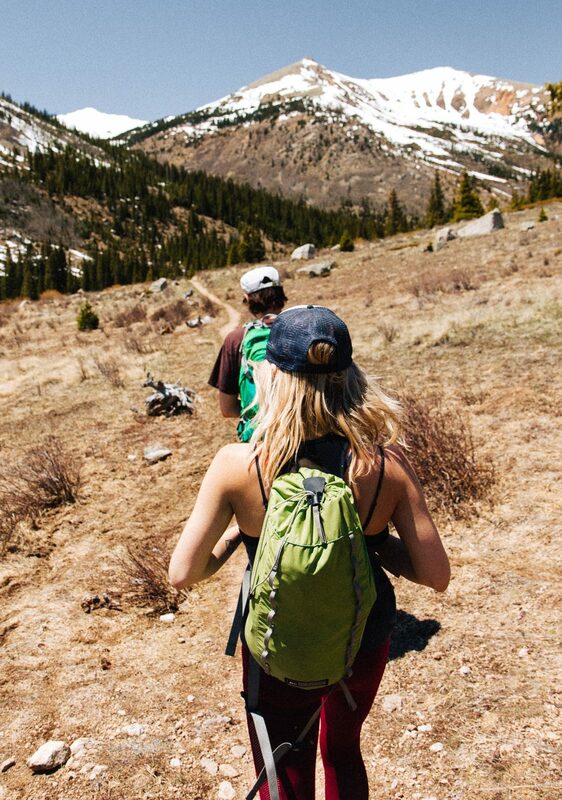 For many travel activities and outdoor activities like hiking, climbing, etc., having a quality daypack to carry your daily gear is super valuable. 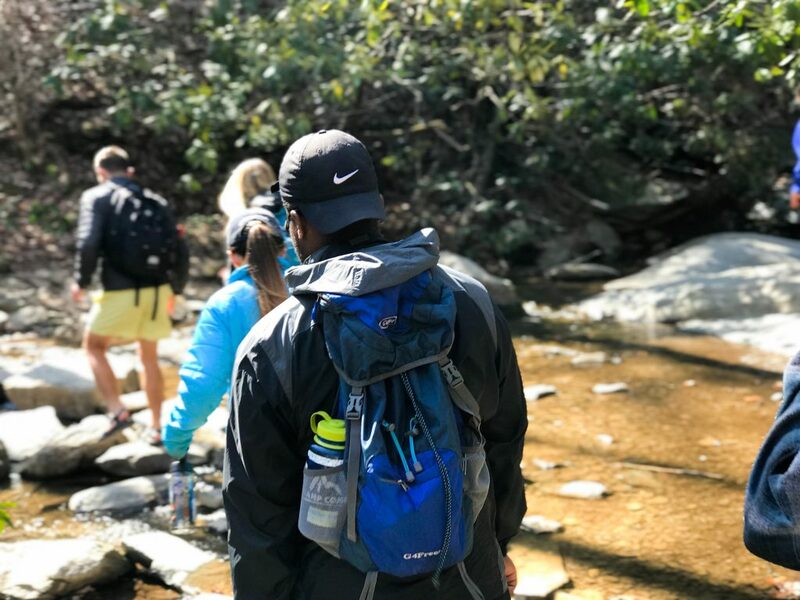 There are hundreds of different types of daypacks available, but depending on your needs and style of travel one will fit your needs better than another. I’ll explain to you what to look for in a daypack and which one suits you the best. 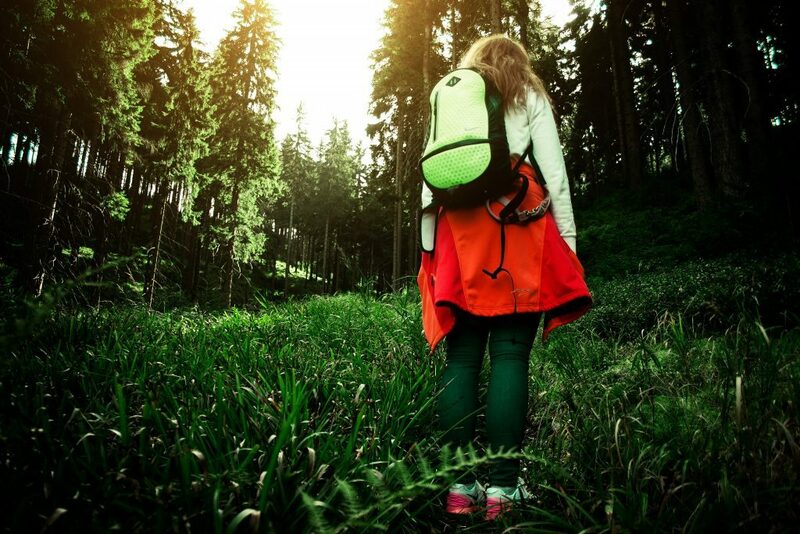 There are certain features you should look for while buying a packable daypack. 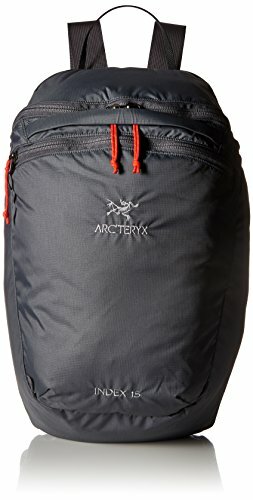 I’ve compiled a list of important features and things to look for when shopping for a durable, lightweight foldable daypack. 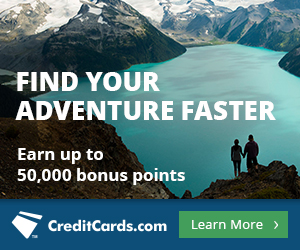 Why Are Packable Daypacks Ideal for Travel? 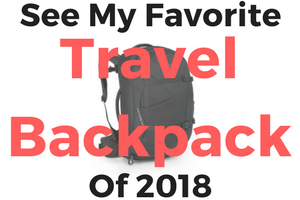 I’ve chosen some of what I think are the best packable daypacks on the market that are ready to handle any global travel adventure. Below you’ll find short reviews for each backpack and why it stands out. 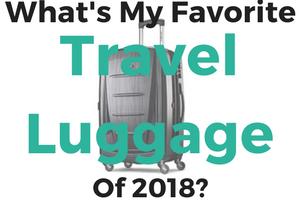 I’ll only recommend products that I have personally used or would purchase for myself, and trust me I’ve tried quite a few since as a blogger I always travel with my laptop in hand during my global adventures. 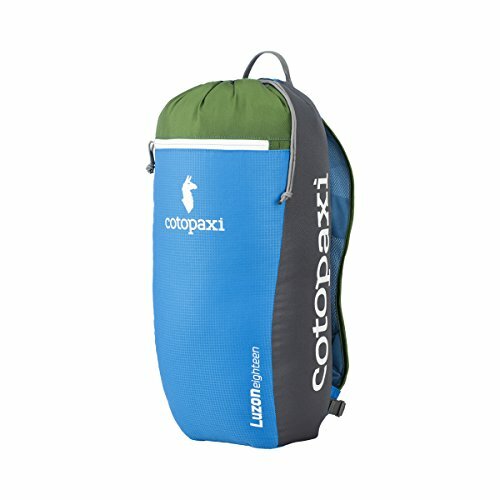 I’ve selected what I think are some of the best daypacks below. You can consider them when looking to buy one. This daypack has a sleek and simple design. It is very lightweight and compact. The fabric is siliconized Cordura nylon, which is tough and strong, plus it has a weather resistant coating. The shoulder straps have bar-tack reinforcements, which add strength to those stress points and allow you to carry more weight. These also help this packable daypack hold its shape, with less bunching in the straps. And it is super easy to carry, using the attached stuff sack that rolls the pack small enough to fit into almost any pocket. However, this Sea to Summit backpack falls into the simple, lightweight category. There is just one main compartment, with no side pockets for water bottles, though there is a daisy chain at the bottom for hooking on smaller gear or a bike light. And according to users, even with the reinforcements, the straps are a little thin for heavy duty use. The Gonex ultralight packable daypack has a 30L capacity, so you have room for pretty much anything you need for any type of day trip. But as well as the large main compartment, there are a couple of side pockets to carry water bottles, keys, or even an umbrella if the weather turns damp. There is even an inner pocket for smaller items, which also doubles as the pack-in pocket when it’s time to put away your daypack. 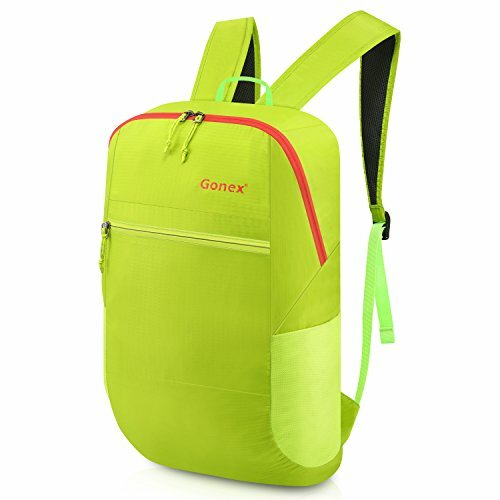 This Gonex packable backpack is made of nylon, which is soft against your skin but strong enough to resist some light wear-and-tear. It is also water-repellent, though it won’t withstand any downpours. The straps are made of breathable mesh for comfort on warm days. There are bar-tack reinforcements in over 14 high-stress areas, making this one of the best packable daypack models in terms of durability. 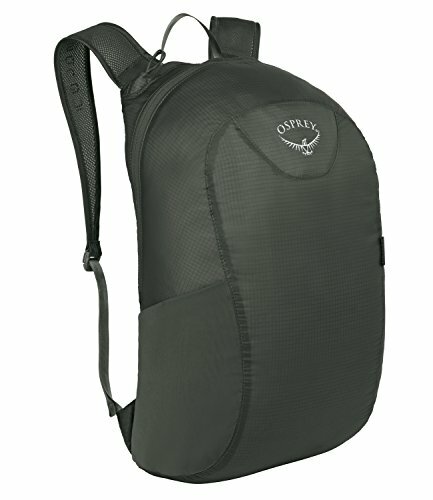 If you’re looking for a small hiking backpack, this Osprey packable daypack may be the right choice. It is extremely lightweight, at just over 3.2 ounces. The material is 40D nylon ripstop, which can handle a bit of rough use, as long as you aren’t sliding over rocks or getting snagged on trees at every turn. It only has an 18L capacity, so you may not have enough room for an overnight stay, but it has space for a change of clothes and a few other essentials if needed. Along with the main compartment, there is a slash pocket on top of the bag. There is stretch mesh pocket on one side, as well, but it isn’t very tight, so you may lose your water or other gear if you bend over. When you’re done with the bag, there is a built-in storage pocket that lets you fold up the pack and store it away in your luggage, pocket, or anywhere else convenient. 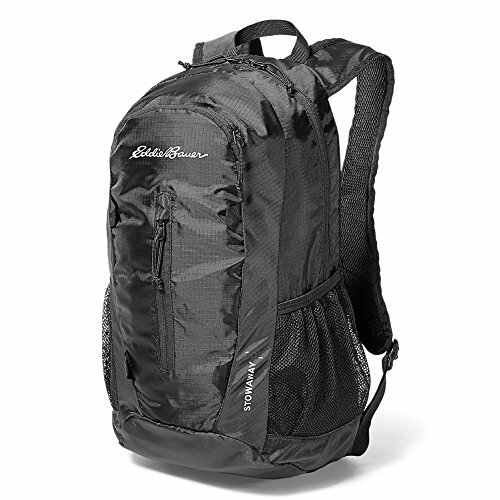 Though it’s not the lightest model on our list, the 20L New Outlander packable backpack is one of the cheapest. This makes it one of the best packable daypack brands for those on a budget. But just because it is cheap on the wallet doesn’t mean it’s going to fall apart the first time you use it. It is made of durable nylon material that is both rip- and water-resistant. The stress points all use bar-tack reinforcements to increase strength. The straps are long but adjustable for those who don’t need as much room. They are made of breathable mesh but have some sponge padding in there as well for extra comfort on those long walks. And there is a top grab handle, also reinforced, to make it easier to transfer the bag from one spot to another. A carabiner is also included for attaching keys or other items to your backpack. For storage, there is a large main area, two front pockets for small items, and an internal security pocket which can be used to pack your bag when it isn’t being used. There are also two mesh side pockets, one of which has a security cord to hold your water bottle in place. As well as making a decent daypack for their customers, Eagle Creek has added a bit of style to their product. It comes in three great colors, with cool detailing and the Eagle Creek logo embossed on the front. But cool-looking daypacks have to be functional as well. 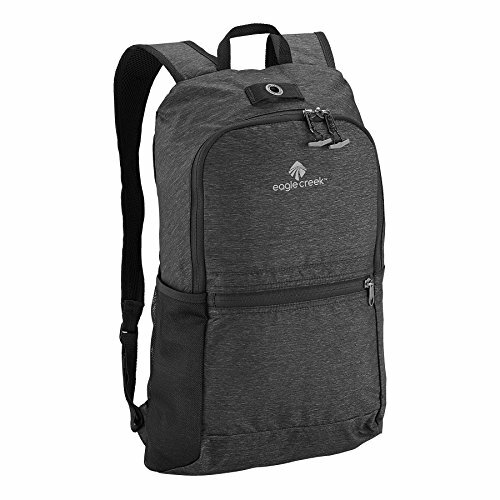 The Eagle Creek packable backpack takes this into account, with its durable nylon material, adjustable and breathable mesh shoulder straps, and a front pocket that doubles as a stuff sack which packs this bag small enough to fit almost anywhere. The key fob on the front pocket can also be used to attach your bag to your other luggage for easy carrying. Though it only has a 13 L capacity, this bag has enough room for the essentials. And it is securable as well. There are tabs on the dual main zippers, which can be attached to the loop above to repel thieves. Those zippers are also lockable for a bit of extra security. And a water bottle pocket on the side keeps you hydrated throughout your trip. Once called the Daylite 16, the Matador DL16 is one of the best packable daypack models around. This is mainly due to the fact that it is made of 30D Cordura material, which is not only puncture-resistant but is also completely waterproof. The internal seams are all fully sealed and the zippers are water-resistant, both of which reduce leaks for drier gear. With a main compartment that has a 16 L capacity, a front zippered pocket, and a couple of side mesh pockets, you should have all the room you need for those must-have items during a hike or a day trip around the city. The shoulder straps are adjustable to give you the right fit, no matter what size you are, plus are breathable to reduce sweating, even on the warmest days. When it is time to store your daypack, just fold it up into the attached storage bag and tuck it away until you need it again. This REI packable daypack may not be the lightest pack in our group, or the fanciest, but it has a decent price and a few handy features you may not find on other models. The first is that the padding on the back panel is removable, giving you a comfy pad to sit on if you get tired during your hike. As well as the stretchable padded mesh shoulder straps, there is also a sternum strap and a hipbelt. Both of these can be detached if you don’t need them. And the sternum buckle is also a safety whistle, which will come in extra handy during an emergency. Though there is no hydration reservoir included, the pack is designed to be compatible with one, thanks to the internal sleeve and an exit port for a drinking hose. There is also a daisy chain on the front of the bag which can be used to tote an ice axe, keys, or other handy items. The main compartment uses a drawstring closure for easy access. There is also a small zippered pocket on the front of the bag for those items you want kept close at hand. With so many collapsible daypack brands out there, it’s no wonder Amazon decided to make their own. Their lightweight model is a nylon packable backpack, which is quite strong, resisting rips even with regular use. There is bar-tack reinforcements on all the stress points, to help increase the bag’s durability, even when you have it filled to capacity. The straps are thin mesh, which is breathable to help reduce sweating and discomfort. They are also adjustable, so you get the proper fit for the size of your body. There isn’t a lot of structural support in the bag, though. This means that after you pack it, it will take the shape of whatever you put inside it, so pack it carefully so it fits nicely on your back. There is a lot of storage space, with one large main area for big items, plus a small inner pocket, a front pocket, and a couple of mesh side pockets for water bottles or other handy items. The inner pocket also doubles as a stuff sack when you’re done with the bag. As well as the super light weight of this bag, it also has a great low price and comes in 6 colors. There is also a larger 35 L model available if you need the best packable daypack to hold a bit more gear. The Arc’teryx Index 15 was designed for backpackers and travellers who need something lightweight but durable for all the gear they need during a day trip. It is made of a combination of nylon ripstop and polyester, giving it strength with a bit of flexibility. 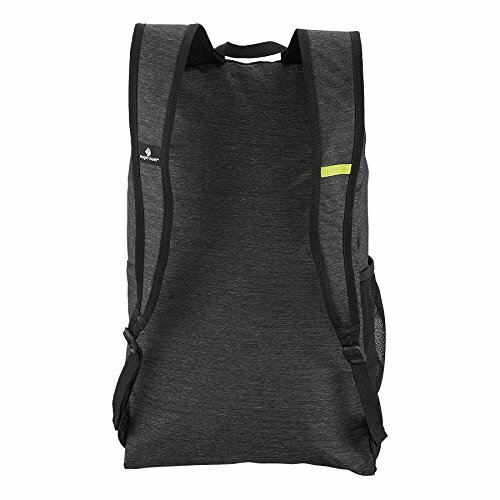 There are ultra-light, adjustable shoulder straps that fit comfortably. There are also top and bottom grab handles for loading your bag in your vehicle at the end of a long day on the trail. Despite its small 15 L capacity, this lightweight packable backpack has more than enough room for everything you need. 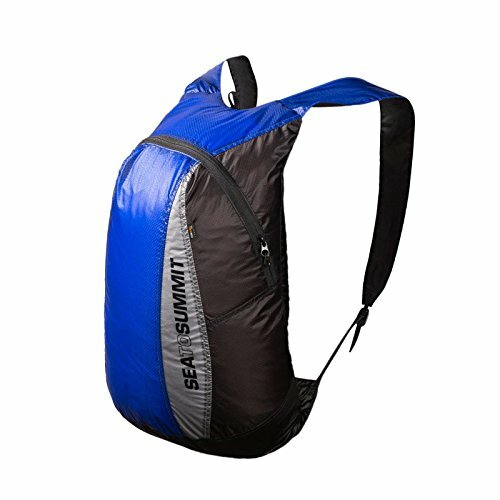 There is a large main area, with a large inner slip pocket that can hold a hydration bladder for hikes, or a tablet for more modern trips. There is also an inner security pocket for your valuables, which also doubles as a stuff sack when you’re trip is over. On the outside is a front zippered pocket, which includes a key clip for extra convenience. Though there are no side pockets, there are 8 loops on this bag, which can be used to attach water bottles or strap other larger items you may need for your trip. 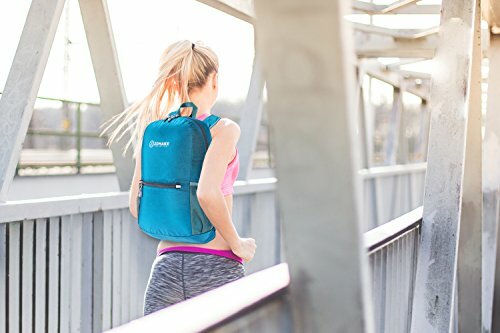 This packable travel bag has a lot of great features and comes in 6 colors, but it also has a pretty high price tag, so it may not be the best packable daypack for those on a budget. 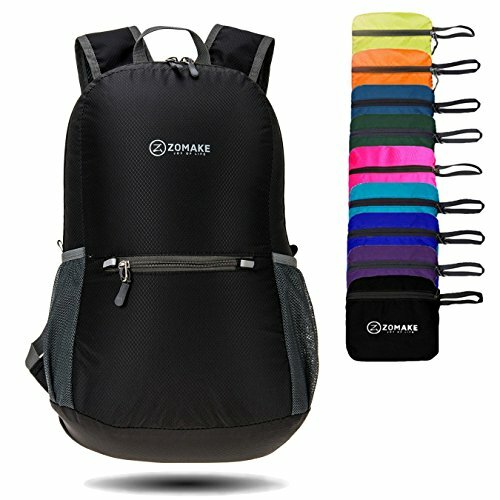 If you want a cheap packable daypack that looks as stylish as the higher-end brands, the Zomake Ultra Lightweight bag is a great choice. It is made of durable nylon material, which is tear-resistant and has a waterproof coating to keep your gear dry. The zipper is SBS Metal, which resists abrasions for longer use. Along with the large main compartment, there is an inner pocket, an outer front pocket, and two mesh side pockets for smaller gear you want quick access to, like cameras or water bottles. 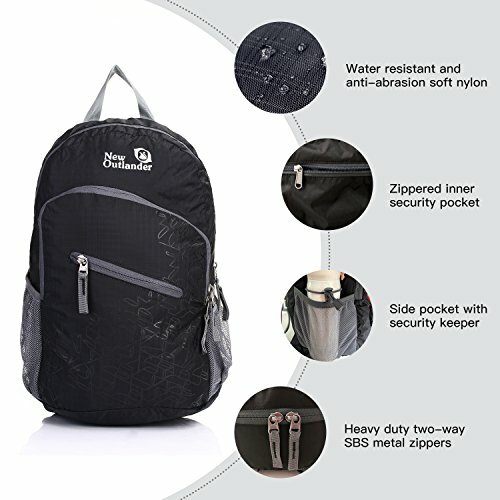 But despite all this room, this handy small backpack for travel can be folded down to a compact size for easy storage in a suitcase or pocket. The straps are lightweight, adjustable, and breathable for added comfort. And to increase the bag’s strength, there are bar-tack reinforcements on over 31 different areas, so your bag won’t fall apart after only a few uses. 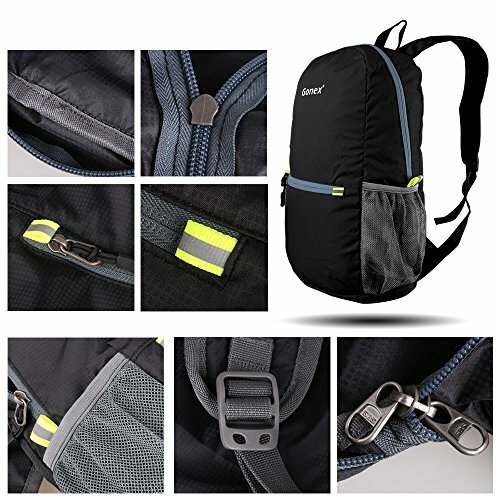 Best of all, there is a great low price, plus a wide variety of colors to pick from, so everyone in the family will get the best packable daypack to meet their personal style. With 42 different colors to choose from, the Cotopaxi Luzon 18L model may be the best packable daypack for those picky members of the group who need everything to match. But it also has a variety of great features that make it a great choice for everyone else as well. The material is re-purposed ripstop nylon which is as light as it is strong. There are also lightweight mesh shoulder straps to keep you cool during your travels, plus are adjustable for the right fit. A sternum strap and a hip belt keep this stuffable daypack secure and supported for less shifting. Inside the large main compartment is a lined sleeve that fits a hydration bladder, though this accessory isn’t included. If need be, you could slip a tablet in there instead for those trips where so much water isn’t needed. A drawstring closure on this main area makes it easy to get in and out of the bag. For the smaller items you want quick access to, there is also a zippered front pocket. Though it only comes in black, this handy folding backpack for travel may still be the best packable daypack for your next adventure. It is made of durable 30D ripstop nylon, with air mesh in the back panel and the adjustable straps. This makes the pack strong as well as breathable on those hot days running errands or walking the trail. There is a sternum strap with durable Duraflex buckles to keep it tight to your chest, but they are also removable for those days when you don’t need as much support. The Tortuga packable daypack has 19 L of storage space in the main compartment, with extra room in the zippered front pocket for your smaller items. There are also two mesh pockets on the sides of the bag for water bottles or other items you want easy access to. As well as being a great stuffable backpack for trips close to home, this bag is the perfect size to fit under a seat on almost any airline, so it can replace your carry on bag if needed. The best packable daypack for travel needs an abundance of storage space, without weighing you down too much. This one from Eddie Bauer is only 11 ounces empty, so you can tuck it into a pocket or squeeze it into your luggage until you need it without even noticing the extra weight. But when you do need to pack it, you can stuff up to 20 L worth of gear inside in the main compartment. There is a Velcro back panel pocket inside the bag as well, for extra organization. On the outside of the bag, there are two zippered front pockets, plus a couple side pockets with elasticized tops to keep water bottles and other smaller gear secure. And if you need a bit of extra gear, there are some lashing loops on the front for attaching whatever you need. 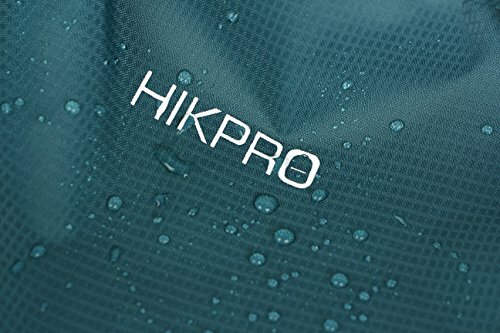 The material is 100% polyester, with a StormRepel water-resistant finish to keep your gear safe and dry in damp weather. The backpack straps are lightly padded for extra comfort, plus adjustable to give you the perfect fit, no matter what size you are. And there are 8 stylish colors to choose from for those who like to match all their gear. 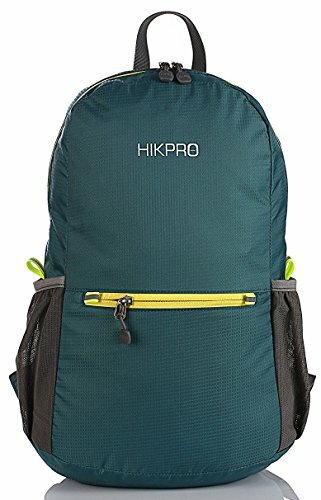 The Hikpro packable backpack is one of the more durable travel daypacks available. It is extremely lightweight at only 6.5 ounces. But the nylon material is tear-resistant and repels water, for a stronger bag. The zipper is also SBS metal, which resists abrasions, so you’re zipper won’t fall apart at the slightest scrape. Bar-tack reinforcements are used in the most high-stress areas. The straps are wide, distributing the weight of the bag more evenly. They are also breathable to keep you cool on those warm days on the trail. They can be adjusted as needed to give you the right fit. To hold your gear, there is a large main compartment, with a smaller zippered pocket inside to keep your little items from getting lost among your larger belongings. 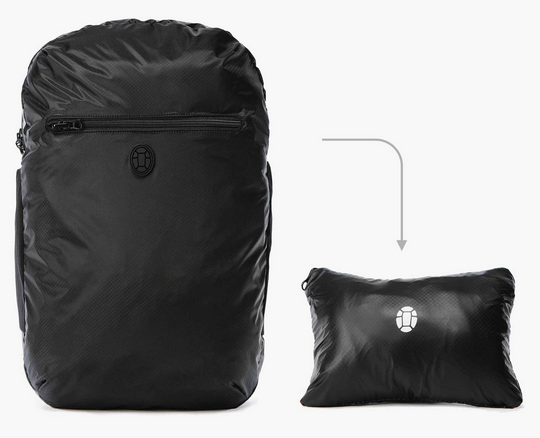 This inner pocket also doubles as a stuff sack for the backpack itself. There is also a zippered pocket on the outside, plus a mesh pocket on each side for water, cameras, phones, or anything else you want easy access to. At 7.7 ounces, this daypack is a bit heavier than some of the other bags on our list. But its versatility may make it worth the extra weight since it can be used for hiking, camping, climbing, school, or running errands. It is made of high-quality nylon material, which is both water- and tear-resistant, so it will withstand a bit of rough use out in the wild. The adjustable straps are also quite well-made, with padding and breathability to increase the comfort. There is a great deal of storage space as well. The large main area holds the largest items you need, plus there is a small inner pocket for those little items that need a bit of extra security, like money or small electronics. There is also a zippered pocket on the front and two mesh pockets on the sides for the rest of your belongings. 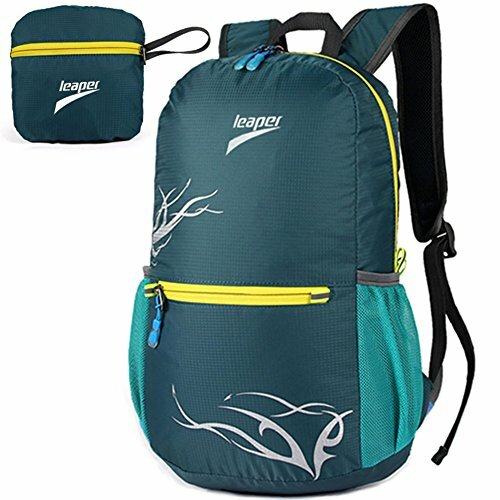 Because of its high strength and capacity, the fact that it folds down to about 6 inches in size, and its great low price, this may be one of the best packable daypacks to choose for almost any type of trip. Of course, you can use these types of foldable bags for almost anything you do. They are quite versatile, with a bit of style thrown in so you will love carrying them anywhere. And they can handle a bit of rough handling, so you can use them almost daily with little wear-and-tear to show for it. The main reason the best packable daypack is the right choice for travel is due to their size. I’m not referring to their packed size, either, though many of them have high capacities to carry anything you need. It’s the folding size that matters for travel. These handy lightweight backpacks can be folded or rolled into an extremely small package, sometimes smaller than a sandwich. This makes it easy to tuck these little packages into your other luggage, a bigger backpack, a glovebox, or even a coat pocket. Having a packable backpack won’t weigh you down or force you to leave other essential items behind. 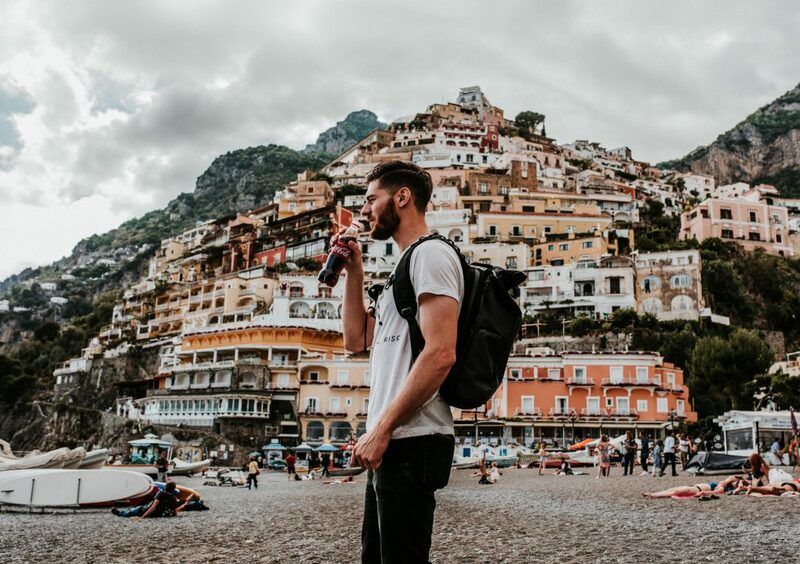 What they will do is give you an extra bag to carry any souvenirs home that won’t fit into your regular luggage, or a pack to carry when you decide to go on a spur-of-the-moment hike or climb. Over the past few years, manufacturers were quick to realize there was a huge demand for functional packable backpacks. This means that you’ll find lightweight, packable daypacks in a wide range of styles, sizes, and with a variety of features. Capacity matters the most. More capacity means you can carry more stuff. But the more you pack, the more it will increase the weight. For normal use, a 25 Liter volume is considered enough room to carry most of your stuff. Whereas if you plan to buy a daypack for some specific use, you may have to look for other sizes. For multi-day travelling, you may need sizes bigger than 30 L, while for light trekking a small 20 L would do good. If you’re like me, you never want to carry extra weight. Therefore, it is better to buy a daypack which meets your requirements and is the lightest. Too many features can add extra weight to your daypack. These extras also mean a much bigger bag, both packed and folded down. Of course, you don’t want to skimp on the features you need. Otherwise, you may be sacrificing too much, forcing you to leave gear behind just to save a few ounces. Comfort and fit are some of the most important features to ensure you have the best packable backpack. Some things to look for are breathable areas in the backpanel and the straps. This will keep you cool as the temperature rises. Padding is also a must in these areas, so the backpack rests comfortably rather than digging in. Padding on the back also keeps the gear in the bag from pushing right up against your back. Adjustable straps ensure the bag is sitting properly on your shoulders. Sternum and waist straps also help give you some extra support, though this may not be needed if your bag isn’t very full. Daypacks are usually top loaders or panel loaders. Top loaders have a single compartment and an access point at the top, while panel loaders can have multiple compartments with a U-shaped zipper for opening. Top loaders are suitable for quick stuffing of goods while panel loaders can keep your stuff organized and are more versatile in use. Some side compartments are added to daypacks to store additional stuff like phones, maps and dedicated water carrying compartments. These can be very handy. If you carry a lot of weight, then additional straps can evenly divide the weight across your body and give you more comfort. 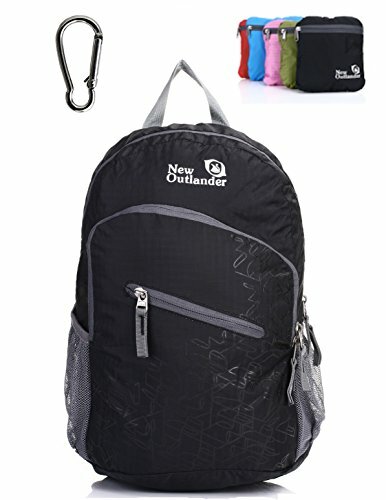 Different types of materials are used in daypacks. A good daypack material must be light and tough. Most of the daypacks on our list use either nylon or polyester. These fabrics are quite strong, without adding too much to the weight of your bag. Ripstop fabric adds a bit more strength. Ripstop is a bunch of thicker threads sown into the other material. If you happen to get a tear in your bag, the ripstop prevents it from spreading. The ripstop also helps to repel water. As well as the durable materials, the best packable daypack will have a few other things to look for in terms of construction. First, the seams deserve a look. They should be tightly stitched so that when you tug on the material, you can barely see them. Internal seams should be covered by a bit of fabric to keep any rubbing against your gear to a minimum. There should be bar-tacked stitching at all of the stress points on the bag, especially around the bottom and the straps. These areas carry the heaviest loads, so the stitching needs some reinforcement to withstand the pressure. Zippers should be strong, resisting abrasions, but easy to use. You never know when the weather is going to turn damp, so you’re daypack needs to be able to withstand a bit of water. Another option is to get a packable backpack rain cover, which will give you ultimate protection. For this, most manufacturers use either a water-resistant or waterproof coating on their bags. These coatings repel light rain, though most of them won’t be able to withstand heavy downpours. As well as the coating, you should also make sure the zippers have some type of water resistance as well. Otherwise, you’ll be dealing with some leaking, which means wet gear. The best packable daypack will have taken all this into account, but it’s best to be sure before you buy. When it comes to the best packable daypack, certain styles are better for some people than they are for others. Do you prefer a simple bag, with clean lines and a sleek look? Or do you prefer lots of pockets and loops to ensure you have every bit of space possible for all your gear? There is also the color of the day backpacks to consider. Many people prefer a discreet, darker color like black, grey, or navy blue. But there are also bright colors, two-tone designs, and cool logos to pick from. No matter what you’re style, there is a great daypack for travel to meet it. Because of the simplicity of the design most daypacks favor, they usually don’t cost very much. Most of the daypacks on our list cost $40.00 or less, with a few of them under $20.00. Of course, the less the bag costs, the fewer features you may see on their list. This could mean fewer pockets, no water-resistance, or cheaper materials in the body or the straps. So, it may be best to spend a bit more to ensure the highest quality possible, especially since even the more expensive bags are still pretty budget-friendly. 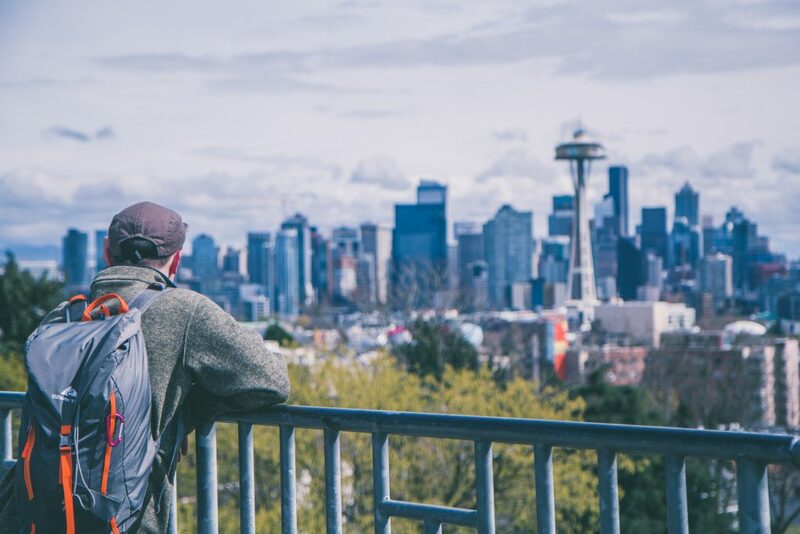 Whether you’re just cruising a new city or hiking to the top of a peak in the wilderness, having the best packable daypack can be an incredibly useful piece of travel gear. For instance, if you’re traveling on a budget, you’ll need a cheaper daypack to add to your gear list. The Leaper Outdoor Nylon Ultra-Light 20 L Folding Backpack is the most budget friendly model on our list, plus it still has plenty of space and is made well enough to last for quite a while. If you think you need a bit of extra protection against moisture, the Matador Packable Backpack Daypack may be the right choice. It has great waterproofing on the material, plus has fully sealed internal seams and a water-resistant zipper. 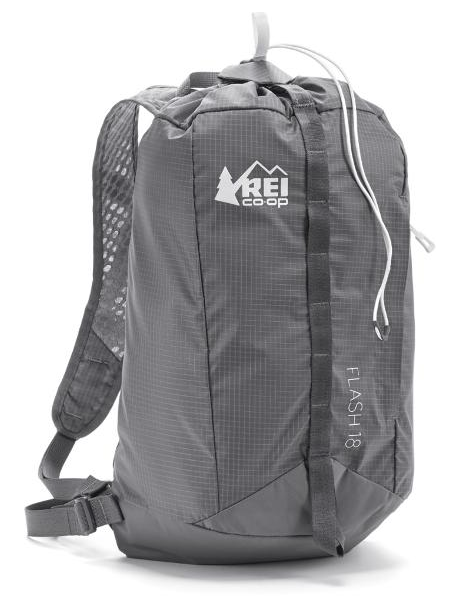 For those who love great features, the REI Co-op Flash 18 Pack may be the best packable daypack. It comes with that handy removable back padding that doubles as a seat, the sternum and waist straps for extra support, plus the safety whistle in the sternum buckle for emergencies. Our top pick for high quality construction and ultra-lightweight is the Osprey Ultralight Stuff Pack. It’s sleek and packs down small enough to stow away anywhere you need. Plus it has a lifetime warranty and a great company that stands behind it. No matter which one you choose, the bottom line is that these lightweight and packable daypacks are just that…packable. 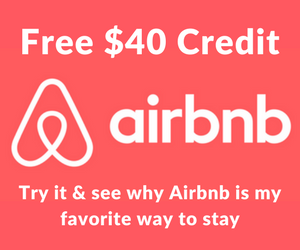 They will fit easily into your larger backpack or luggage and barely take up any extra room, but they are there when you need them!